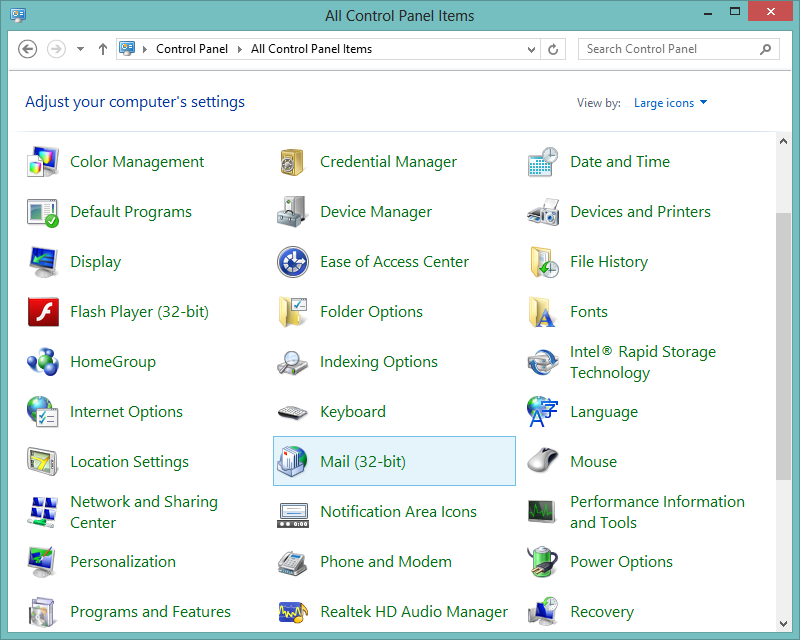 Open Control Panel with ‘View by’ set to Large or Small icons, and select Mail (32 bit). 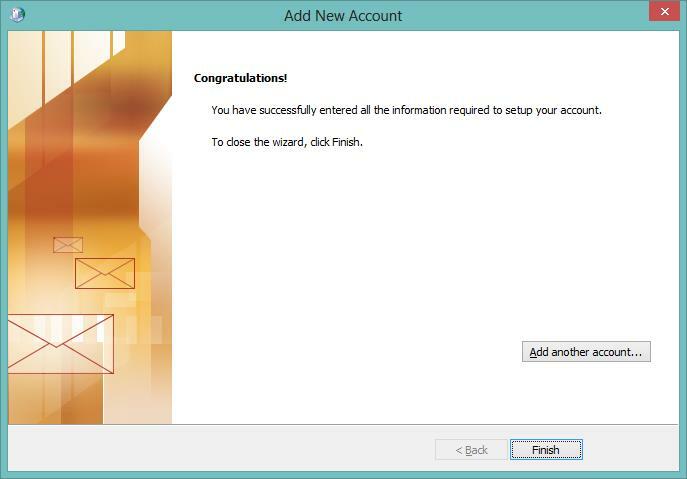 In the Add New Account window enter your username, password and mail server information for the new e-mail account. Ensure that you replace Your Name with your own name, as well as replacing “youser@yourdomain.com” with your specific email address. Verify the information is correct and click the ‘More Settings’ button. 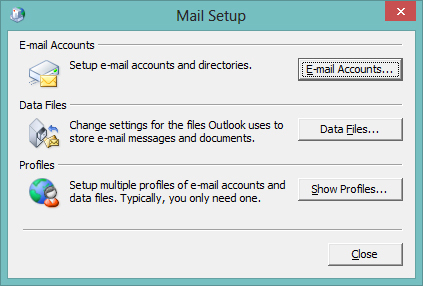 Additionally, on the Internet E-mail Settings window select the ‘Advanced’ tab. 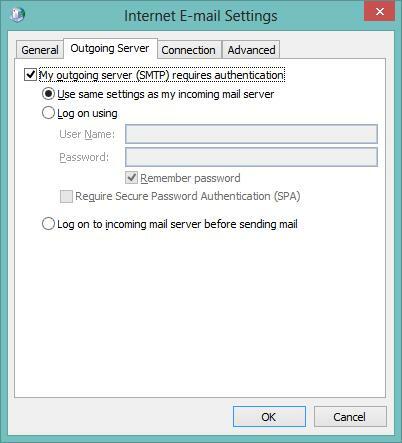 Update the Incoming and Outgoing Server values (as shown in the figure below) and ensure the box is checked in front of ‘This server requires an encrypted connection (SSL)’. To the right of ‘Use the following type of encrypted connection:’ use the drop down box to select ‘SSL’. 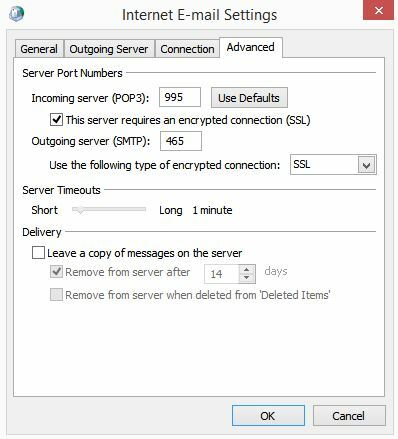 Uncheck ‘Leave a copy of messages on the server’. Verify all information and click the OK button. 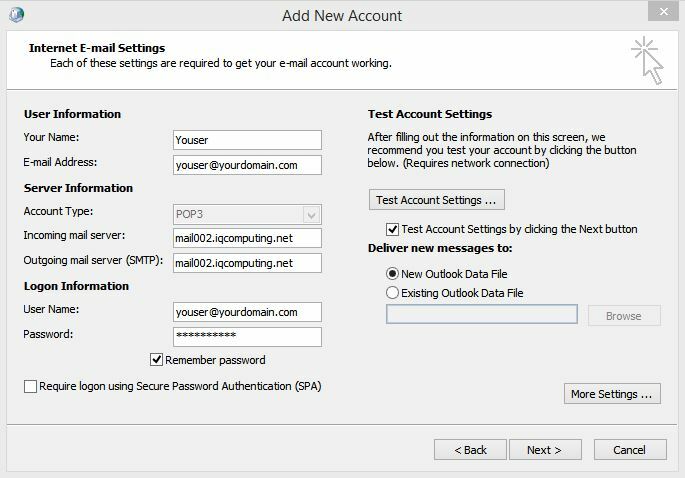 Assuming all information was entered correctly, Mail will Test the account settings and you will see Green checks (as shown in the figure below) confirming successful addition of the new account. 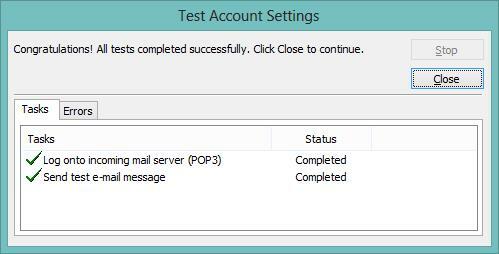 Click the ‘Close’ button and Mail will automatically Test Account Settings. 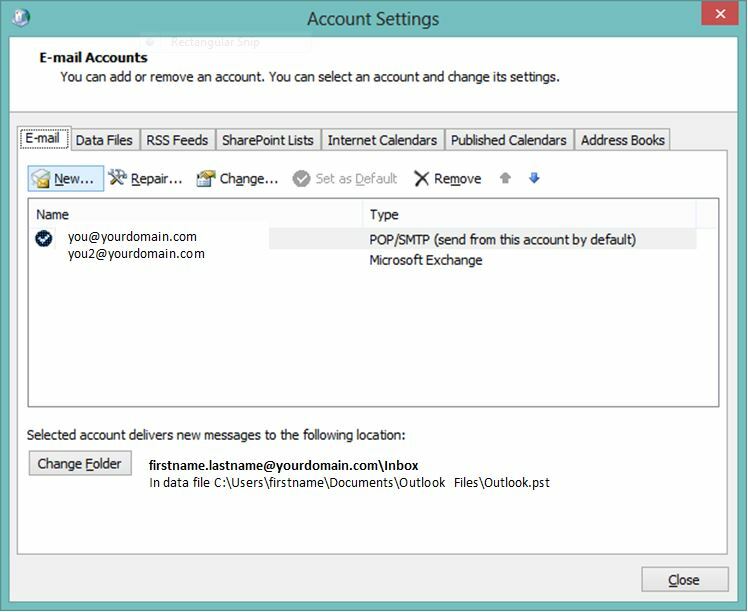 Close the Account Settings window, close Control Panel and open Outlook to find your new e-mail account!